BMW is using the Tricept T805 for the production of the new 5 and 6 series cars. 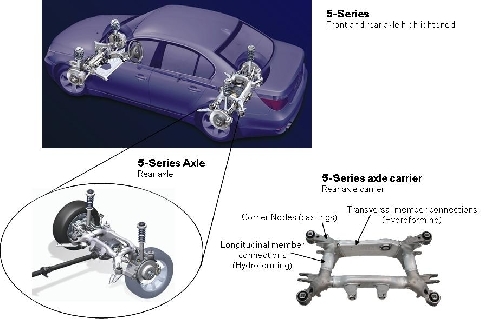 BMW made a deep and careful analyze of the Tricept and came to the conclusion that for the manufacturing of the front and rear axle the Tricept was outstanding in all the areas that were set out as criteria. Today there are ten (10) Tricept 805 with MES in full production machining the front and rear axles completely from raw material to fully finished parts ready to assemble. 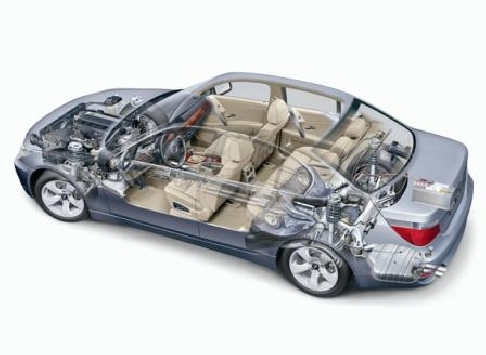 According to BMW all expectations have been fulfilled and also in many cases exceeded. The key objectives in the process configuration was FLEXIBILITY. Flexibility to make changes to existing products. Manufacturing to be able to responde with minimum lead times and capital expenditure to changes in volume models.